Download "Note! 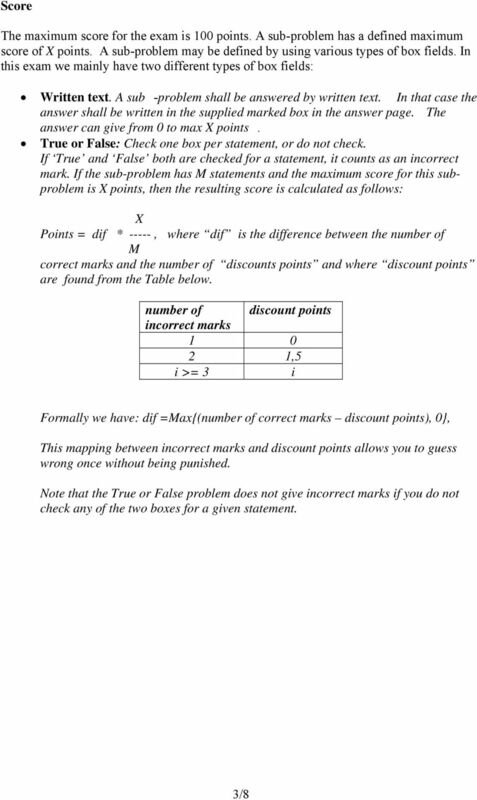 The problem set consists of two parts: Part I: The problem specifications pages Part II: The answer pages"
Final for ECE374 05/06/13 Solution!! First Midterm for ECE374 03/09/12 Solution!! 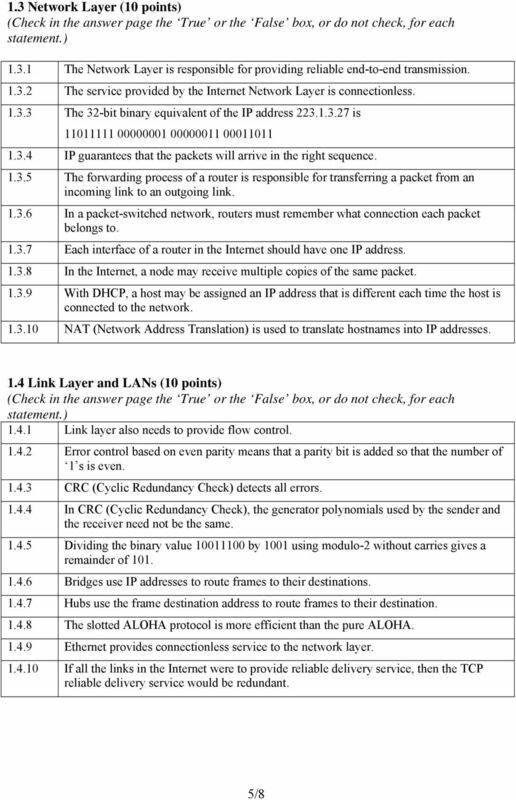 OSI MODEL 1 Introduction Open Systems Interconnection Basic Reference Model (OSI Reference Model or OSI Model) is an abstract description for layered communications and computer network protocol design. USN 06EC71 Seventh Semester D.E. Degree Examination, December 2010 Computer Communication Networks Time: 3 hrs. 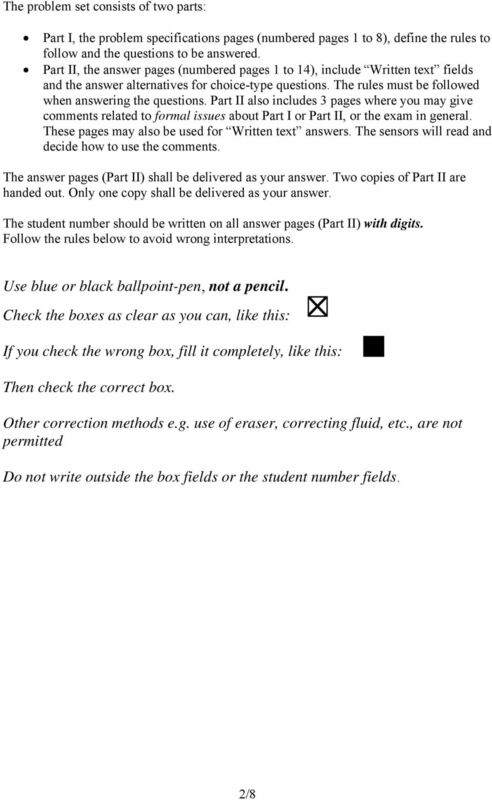 Note: Answer any FIVE full questions, selecting at least TWO questions/rom each part. Max. 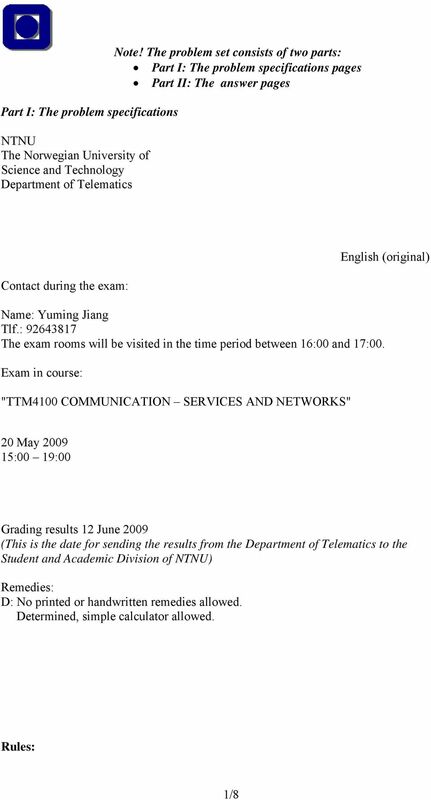 Tutorial Questions EG/ES The tutorial questions illustrate the style of examination questions for EG/ES 3567. The fundamentals of TCP/IP networking TCP/IP (Transmission Control Protocol / Internet Protocols) is a set of networking protocols that is used for communication on the Internet and on many other networks. DIN 2012 Tutorial. physical links between primary and secondary stations: Synchronous Connection Oriented (SCO); Asynchronous Connection Link (ACL). Second Midterm for ECE374 04/08/15 Solution!! 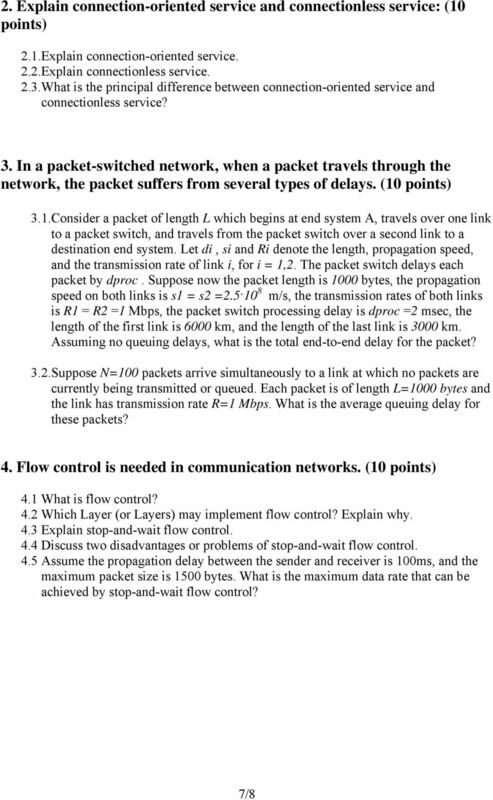 Computer Networks Homework 1 Reference Solution 1. (15%) Suppose users share a 1 Mbps link. Also suppose each user requires 100 kbps when transmitting, but each user transmits only 10 percent of the time. Network Layer IPv4 Dr. Sanjay P. Ahuja, Ph.D. Fidelity National Financial Distinguished Professor of CIS School of Computing, UNF IPv4 Internet Protocol (IP) is the glue that holds the Internet together. Cape Girardeau Career Center CISCO Networking Academy Bill Link, Instructor. 2.,,,, and are key services that ISPs can provide to all customers. Computer Networks & Security 2014/2015 IP Protocol Stack & Application Layer (02a) Security and Embedded Networked Systems time Protocols A human analogy All Internet communication is governed by protocols! The Internet. The Internet. The Internet. What is the internet, and how does it work? Lecture 17 Overview. Last Lecture. Wide Area Networking (2) This Lecture. 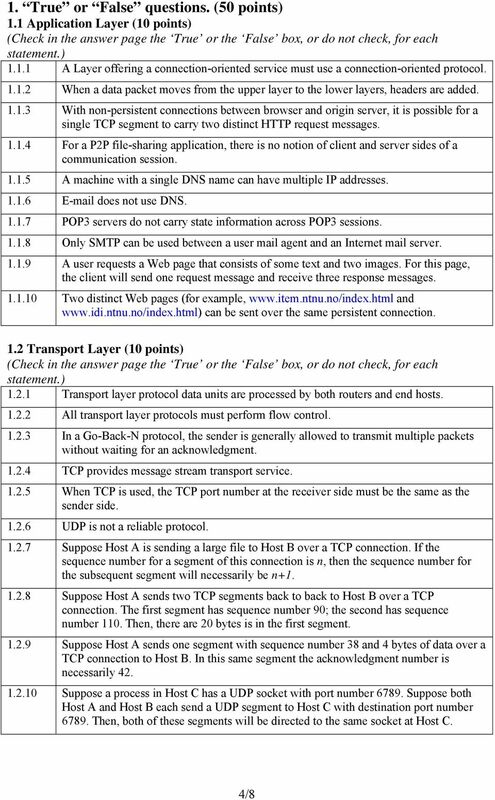 Internet Protocol (1) Source: chapters 2.2, 2.3,18.4, 19.1, 9.